Free open access will be provided to all papers submitted for review prior to Dec 31, 2019. 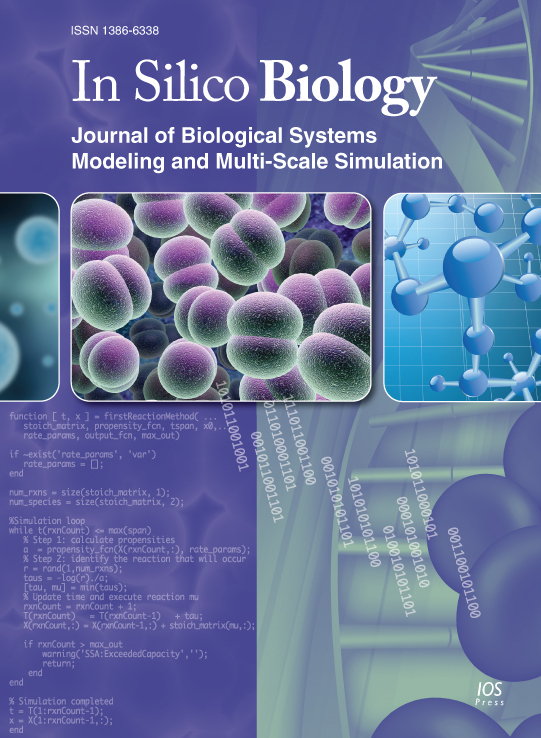 In Silico Biology is a scientific research journal for the advancement of computational models and simulations applied to complex biological phenomena. We publish peer-reviewed leading-edge biological, biomedical and biotechnological research in which computer-based (i.e., "in silico") modeling and analysis tools are developed and utilized to predict and elucidate dynamics of biological systems, their design and control, and their evolution. Experimental support may also be provided to support the computational analyses. IOS Press is committed to support the computational biology community and will provide free open access to all papers submitted for review prior to Dec 31, 2017. A fee may be applied for open access after that date (the current fee is €900 or US$1250). Manuscripts must be written in English. Poorly written manuscript or manuscript with excessive grammatical errors will be rejected without review. Peerwith offers a language and copyediting service to all scientists who want to publish their manuscript in scientific peer-reviewed periodicals and books.